Every classroom needs a moderated, online space where students can share their ideas with others and receive feedback. While blogging has “been around” and used in classrooms all over the world for more than ten years now, classroom blogs are still rare in many schools and communities. Like other kinds of technology, blogging platforms have continued to evolve and change, but the reasons why students should regularly blog have remained consistent. In this “story” on Medium, I will highlight the advantages and limitations of six different blogging platforms which are used and can be used effectively by teachers and students in classrooms in August 2015. These options are highlighted further in the hyperlinked table I’ve updated on the “Interactive Writing” page of ShowWithMedia.com. The platforms I’ll review include Blogger.com, KidBlog.org, WriteAbout.com, EduBlogs.org, EasyBlog.org, and WordPress.com. I’m currently helping my wife, a 3rd and 4th grade teacher in Oklahoma City, decide on her class blogging site for the upcoming school year. I’m also hoping to help PK-12 teachers at my new school, where I’m the Director of Technology, select and use classroom blogging websites this year. While I could write an entire book on this topic (and did, in fact, in 2013) I will limit details in this post to hopefully help other teachers make well informed decisions about choosing a class blogging platform with less required reading! If you have suggestions or find errors in anything I share here or on ShowWithMedia.com, please let me know via a post comment or a tweet reply to @wfryer. The blogging platform which is the best “fit” for your class or classes, and your teaching situation, will vary depending on a variety of factors. The past two years I’ve taught 4th and 5th grade STEM, and I used KidBlog.org websites for all 22 of my classes each year. Cost is certainly an important factor to consider, but the management features as well as media/publishing features of different platforms are also vital. While two of the six options I’m highlighting in this post can be used for free (Blogger.com and WordPress.com) neither of those platforms was designed specifically with teachers, students, and classrooms in mind. The other four platforms were and are designed specifically for educational blogging. Generally today, I think most classroom teachers are better off using a blogging platform with students like these four which are specifically geared to the unique demands and needs of educational users. Another important factor to consider is whether or not you are going to make your classroom blog a PUBLIC space for others to view student writing and leave comments. The natural tendency of many teachers, unfamiliar with educational blogging, is to make sites PRIVATE so only users who login can view and comment on posts. 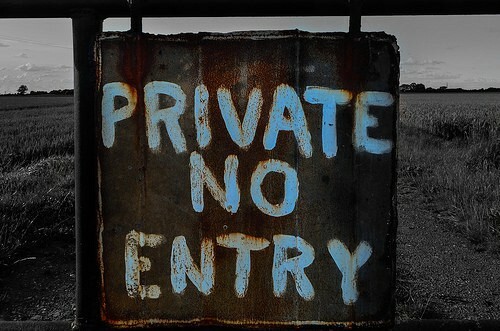 While a private classroom blog is better than not having a classroom blog at all, I think it’s generally a mistake to make a classroom blog private. The biggest reason to NOT make your classroom blog private is because you WANT parents and other adults who care about your students to visit your blog and leave comments. I’ve found that the more barriers (like logins requiring userIDs and passwords) we put up for online student content, the FEWER parents will visit and comment. It’s VERY hard to get parents to not only look at student digital work online amidst our busy lives today, it’s even harder to get them to comment. If you make your classroom blog private, you’ll likely rob your students of the opportunity to receive feedback from outside your classroom walls. Feedback is what makes interactive writing powerful and even feel magical at times. Be sure to cover your bases with student and parent permission forms. Sample school media and publishing permission forms are linked on the OklaEd Learning Showcase website. Blogger is free and does not have a paid version, unless you choose to link your site to a custom domain you “rent” for approximately $12 per year from a service like Google Domains or GoDaddy. Blogger sites allow users to enable “post by email,” so a secret email address can be used to post text, images, and links to the website. When post by email is used with Blogger, submissions can become “drafts” first before they are published live for others to view. This is always a good idea if using this function with students. Posts shared by email don’t reflect the identity of the sender, however, on the blog they show up as being posted by the teacher / blog owner. Students need to include their first name in the email subject (which becomes the title of the post) or within the body of the email/blog post. If your students do not have Google accounts or you don’t want to manage individual logins for your students, being able to have students post by email can be a wonderful thing. In my STEM classroom the past two years, we had a cart of 20 iPads to use for media creation and sharing. During some lessons, I had my students take photos and post them to a shared class blog on Blogger using a SINGLE email account our IT Department configured just for my iPad cart. Tony Vincent (@tonyvincent) wrote a great post in 2011, “How to Set Up Gmail for School iPads and iPods,” which can help with this. If your students DO have their own Google Accounts (you are a GAFE: Google Apps for Education school) you can invite them by email to become “contributors” to a class site you setup on Blogger. Another reason to consider using a Blogger.com website is if you teach very young students (PreK / Primary) and have access to at least one iPad. In that situation, I definitely think the app Easy Blogger Jr, paired with a Blogger site and a YouTube channel, is the way to go. This four minute walkthrough video communicates this more effectively than I can with words. Thanks to Gail Lovely (@glovely) for sharing this option with me a couple years ago! Also note the creators of the Easy Blog apps are rolling out a new service called EasyBlog.org in September. More details about that are included below. Kidblog has transitioned to a new format and platform. It no longer has a native iOS app, but has a significantly enhanced web interface which works well on iOS devices as well as other tablets and computers. The site has become more visual, encouraging teachers and students to always include a “featured image” which is shown at the top of posts and on the site homepage. The fee structure of KidBlog has changed, so if you are a classroom teacher you can have unlimited class blogs for $29 per year. If you need to manage multiple classes with different teachers in the same school, you can contact them for pricing for an “Admin Pro” account. I like how the new KidBlog lets students choose the audience for each post: Teacher only, Class only, Connections only, or public to the world. This can be great for the writing process. I used KidBlog at several of the iPad Media Camps I led this past summer, and I really like the new features. I still love KidBlog, and strongly encourage you to consider using it. It also supports Google logins, so schools where students have Google accounts already can use those credentials when students use KidBlog. The blogging platform I am most excited and interested in today is WriteAbout.com. Co-founded by amazing educators I deeply respect, John Spencer (@spencerideas) and Brad Wilson (@dreambition), WriteAbout offers some unique and powerful features that set it apart from the other five blogging platforms I’m reviewing in this post. There is a free version, but your students are limited to five posts each until you pay the $25 annual fee. (That’s QUITE reasonable, IMHO.) I love how students can join interest groups within the WriteAbout community, and when they post they can submit their entries to a group so other students with similar interests can read and comment on their ideas. This addresses a perennial problem with classroom blog posts, which is: How do I get the attention of others so they can read and provide feedback on my students’ ideas? 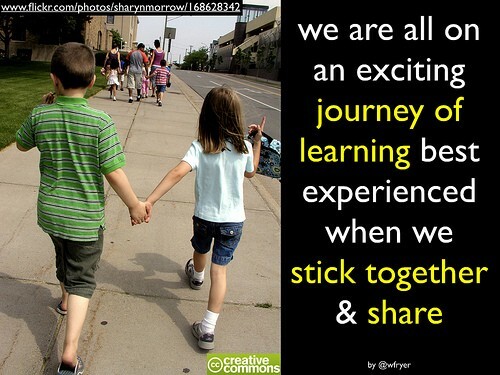 This also promises to connect students directly to others with shared interests… which is exactly what “real” bloggers outside the classroom do! I also love how WriteAbout lets students record audio messages within individual posts, without using a separate app or website. The options students have to post privately, for the class, or for the world are also fantastic, and resemble the new publishing options KidBlog has rolled out with their new version. It’s also great how the site provides a wealth of visual writing ideas. (John likes the phrase “writing ideas” much better than “writing prompt.”) This 84 second video provides a good overview of WriteAbout. 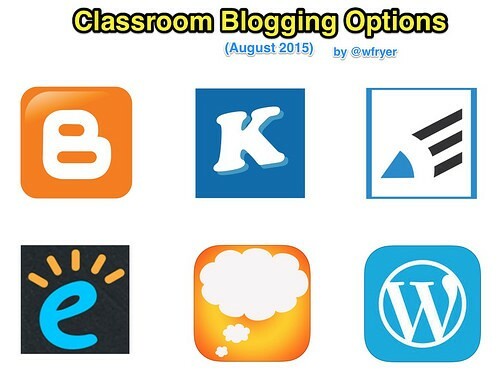 My wife is going to ultimately choose which blogging platform she’ll use with her students this year. She used KidBlog last year, but I’m going to encourage her to give WriteAbout a try this year because of the many unique features it offers which will benefit her students. EduBlogs is the most well established, experienced, and (as far as I know) utilized educational blogging platform in the world. They are currently celebrating their tenth birthday, and in the blogging world that’s quite ancient! Sue Waters (@suewaters) has been a HUGE help to countless educators in the past decade as many have taken their first steps into the world of educational and class blogging, and the larger community around EduBlogs is SO beneficial. EduBlogs does offer a free option for teachers, but I strongly recommend their “Pro” account ($40 per year) for class blogs because of the student management features it includes. EduBlogs, like KidBlog, is based on WordPress. Like KidBlog and WriteAbout, EduBlogs also offers pricing and management solutions for entire schools, districts and colleges. CampusPress is their educational enterprise solution. This 2.5 minute video provides a good overview of EduBlogs and why their platform is fantastic for class blogs. EasyBlog.org is not actually available yet, but is expected to go live in September 2015. I mentioned it previously when reviewing Blogger, because the Easy Blogger & Easy Blogger Jr apps work with it. EasyBlog.org is a homespun web host which will work with their apps but not require teachers to setup a separate Blogger site or YouTube account. The first 1000 teachers to sign up can get a “free class starter kit,” and I definitely think this is worth checking out if you teach PreK or primary age children. This 108 second video provides a good overview. I’ll be eager to hear how teachers this year like using the EasyBlog platform instead of the Blogger / YouTube / Easy Blogger Jr. app combination. If you use it, please let me know with a comment or twitter reply to @wfryer. Easyblog.org Amazing Blog for Schools! WordPress is an open source blogging platform and content management system. You can download WordPress software from WordPress.org to run on your own hosting account or server computer, but you can also register for a free website on WordPress.com that you don’t have to update or maintain with security patches. I use self-hosted WordPress on over thirty different websites now, and I absolutely love it. The technical learning curve for using WordPress can be higher than some of the other blogging options I’ve highlighted in this post, however, and WordPress.com is not specifically geared toward teacher or student blogging. That is why customized WordPress versions, like KidBlog and EduBlogs, are preferable for classroom blogs. Still, like Blogger.com, WordPress.com is available FREE. That four letter word which begins with “F” may be the reason some teachers choose these options over the others I’ve highlighted in this post. A variety of paid upgrades / extra features are available for WordPress.com, but are not necessarily required to use the site as a class blog. I hope this overview of these six different blogging platforms has been helpful. I’d love to know if it helped you decide which website you’ll use with your students in the weeks and months to come! I also want to encourage you to check out the “2015–16 Student News Challenge” from Storychasers. If you are willing to help your students share AT LEAST ONE POST PER WEEK of class or school news, Storychasers will mail you a free digital backpack including a digital camera, digital audio recorder, and USB headset with microphone. You just need to record a short video and submit a Google Form, which is explained on this post on Storychasers.org. 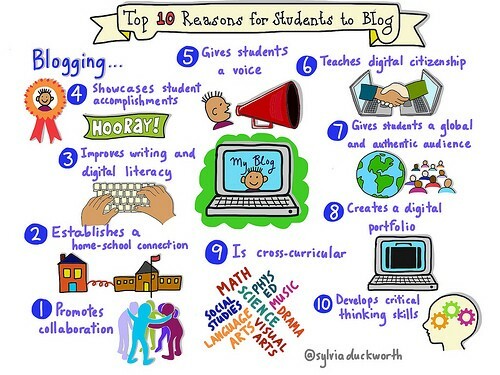 We need to help our students develop traditional as well as digital literacy skills, and regularly writing on a classroom blog is a fantastic way to do both! Good luck to you this school year as you engage in more digital learning and digital publishing with your students! Remember: Every idea can get better with feedback! Our students all need interactive, moderated spaces to share their ideas with others! Full Disclosure: The author is not affiliated with any of the companies which own or maintain the blogging platforms described in this post, other than being a Google Certified Teacher. This post was originally shared on “Moving at the Speed of Creativity,” the professional blog of Dr. Wesley Fryer. Follow Wes on Twitter @wfryer.